Another shot of the right side of the vertical tail. The remains of the 'FE500' and 'T-2-500' codes can be seen. 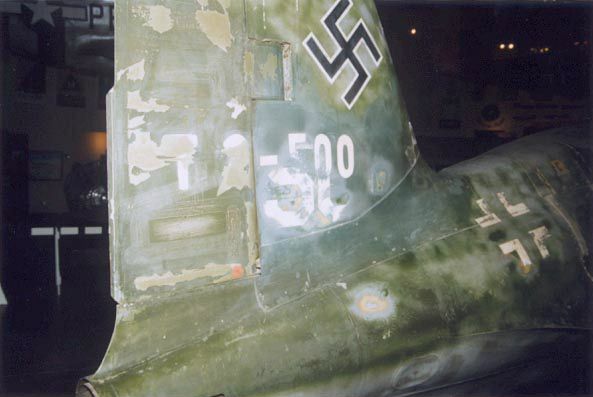 Note the sanding spot on the rear fuselage.